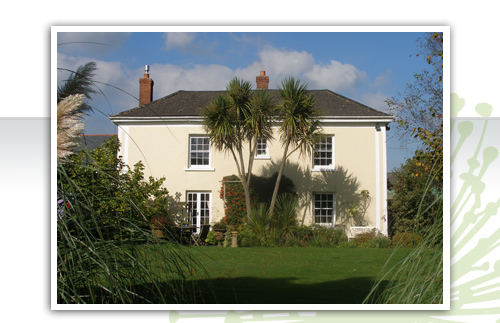 Elmfield has established itself as an exceptional Bed & Breakfast and is ideally located for walking on Dartmoor and less than half an hour away from the River Tamar that leads you into Cornwall. We are surrounded by the glorious Devonshire countryside and innumerable local walks. Our acre of garden looks south over Dartmoor and guests are welcome to wander at will or sit and relax over a cup of tea or coffee. The old market town of Okehampton with it’s Norman castle is 15 minutes away and the quaint Hatherleigh is 10 minutes. The popular stannary town of Tavistock is 30 minutes. The cities of Exeter, Plymouth and Truro are all less than an hour distant. Both north and south coasts are easily accessible. Our village inn is less than 100 yards away across the village square where there is unlimited parking.